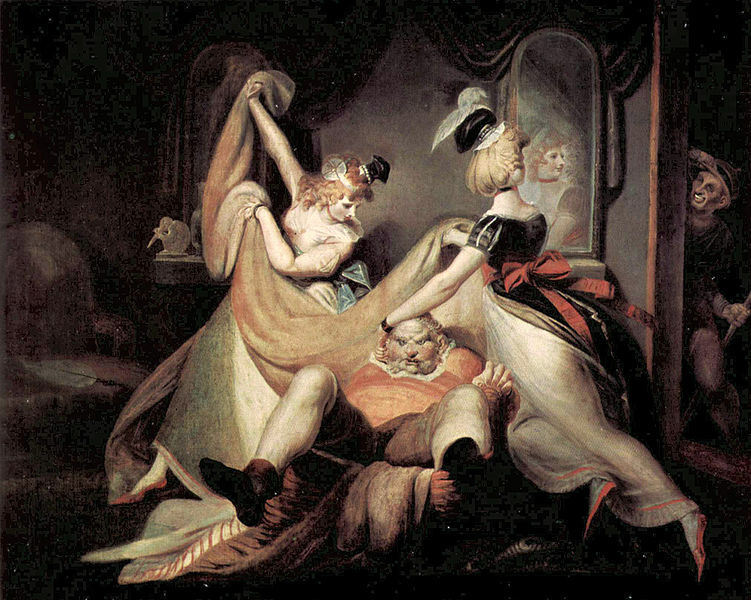 Henry Fuseli, "Falstaff in the Laundry Basket" (1792). "If I be served such another trick, I'll have my brains ta'en out and buttered, and give them to a dog for a New Year's gift." Falstaff in The Merry Wives of Windsor (3.5).